After an elongated Christmas break Dorkbot is back and set to be even bigger and better in 2009 as we slowly find our feet and crank into gear for another season of electric oddity. This year we'll be holding meetings on Sunday evenings so you never have to dash from work again, and we'll be holding them quarterly so you'll always have something to look forward to. The first meeting of 2009 is coming up very soon! 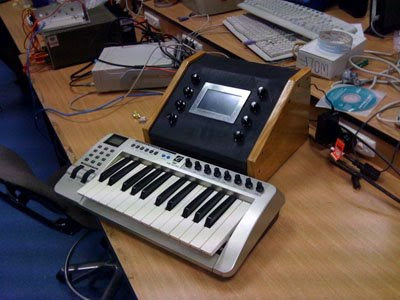 Engineering student Benjamin Davey and his team will be presenting their Synthesia analog modeling synthesiser and of course there will be an open discussion / soapbox where anyone can bring along any ideas, problems or questions they are having with any projects. So come along for some free coffee and tim-tams, and hang out with people doing strange things with electricity! So make sure you mark it in the calendars, and we look forward to seeing you all there! If you have something you'd like to present at Dorkbot 09, be sure to contact us - we want to hear what you're all doing, and are keen to take submissions and ideas for presentations, panels, workshops and discussions!